Made in the USA. A PVC hose designed for water discharge applications in construction, agriculture, general industry and mining. A strong, economical, light-weight hose which rolls up flat for easy storage. Special construction makes for an excellent hose for drip irrigation. A PVC hose designed for medium-duty water discharge applications in construction, agriculture, general industry, and mining. The abrasion resistant PVC cover provides for long service life. Heavy-duty liquid suction hose ideal for construction, dewatering, liquid waste, cesspool cleaning, septic handling, agricultural applications, and marine use. Hose is designed to remain flexible in winter conditions, lightweight, and external helix provides for easy drag. The smooth interior provides for optimum product flow. Flexible for easy handling and storage. Heavy-duty suction and discharge of liquids in the construction, rental, and agricultural industries. Excellent for agricultural chemicals, liquid fertilizers, and dewatering. Rated for both suction and discharge. Heavy-duty PVC suction hose for use in construction dewatering, liquid waste, cesspool cleaning, septic handling, agricultural applications, and marine use. Clear wall allows easy inspection of material flow. Heavy-duty PVC suction and discharge hose designed for applications requiring combined vacuum and higher working pressures. Excellent for use as a fish suction hose and for rental/construction pumping. Clear sidewall allows for easy inspection of material flow and external helix provides for easy drag. Heavy-duty HMW PVC suction and discharge hose designed for applications requiring combined vacuum and higher working pressures, where low temperature flexibility is required. Excellent for use as a fish suction hose and for rental/construction pumping. Clear sidewall allows for easy inspection of material flow and external helix provides for easy drag. Heavy-duty HMW PVC suction hose for use in construction dewatering, liquid waste, cesspool cleaning, septic handling, agricultural applications, and marine use where low temperature flexibility is required. HMW compound provides improved abrasion resistance over standard PVC. Series 2610 is a general purpose water suction and discharge hose for applications such as construction and agriculture. The special corrugated cover provides for improved flexibility. This water suction hose is designed to handle a wide range of applications in industry, construction, and agriculture. The tough, flexible EPDM rubber construction will resist abrasion, weathering and the effects of agricultural herbicides and other mild chemicals. Incorporates a steel dual wire helix in the hose wall for full suction capabilities as well as high tensile tire cord fabric for discharge pressure. Series 2618 is a premium quality, heavy-duty fire engine suction & discharge hose. This hose is designed for severe applications requiring endurance and higher pressure ratings. The unique design allows for extreme flexibility, and high kink resistance when making tight bends. The tough, flexible EPDM synthetic rubber provides resistance to abrasion, weathering, and heat. Designed as a flexible connector for traveling irrigation systems. This heavy-duty construction maximizes performance in the most demanding applications. 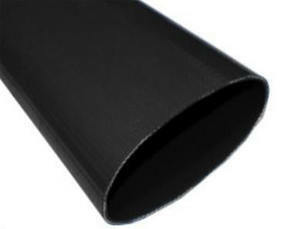 The special EPDM tube and cover provide excellent resistance to abrasion, heat, ozone, and weathering. Light, flexible water discharge hose. Specially designed for wheel-line irrigation. The EPDM tube & cover provides for excellent weathering, ozone, and abrasion resistance. Recommended for severe water discharge service in heavy-duty industrial applications. Extra heavy wall for long service life and endurance in physically demanding applications. Nitrile compound. Both tube and cover are simultaneously extruded to obtain maximum bending. Series 2635 is a lay-flat, medium-duty water discharge and wash-down hose that combines the lightweight, compact features of PVC with the durability and abrasion resistance of conventional construction. This hose features a unique one-piece, through-the-weave construction, and attains its working pressure from a synthetic woven textile. Will not mildew or rot, and requires no drying time. Its excellent durability is derived from a high-tensile rubber compound, which completely encases the jacket. Applications include irrigation, washdown, dewatering, coal preparation and utility plants, petrochemical, oil, and gas drilling, jetting and pump discharge, storage tank cleaning, and sewer cleaning. Made in Germany. 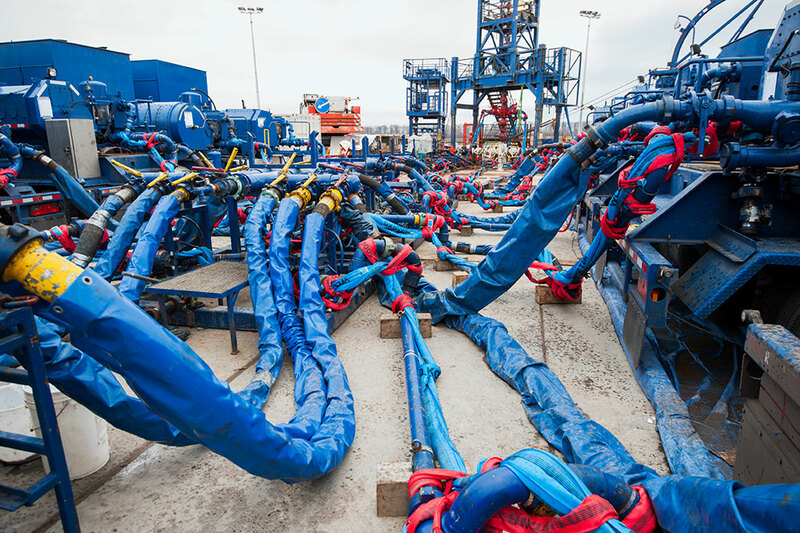 This polyurethane hose is designed for rapid deployment in supplying frac water to the drilling industry. The unique one-piece, through-the-weave construction allows for a very durable, lightweight, high pressure, and low friction-loss supply line hose. The premium polyurethane compound is compatible with brine water, sand, and oil based fuels, while maintaining the excellent resistance to UV and abrasion. A lightweight, lay-flat water discharge hose. The specially designed Slip Ring End provides for full-flow and the attachment of large I.D. discharge hose without the use of couplings. The EPDM tube and cover provide for excellent weathering, ozone, and abrasion resistance. Lightweight, extremely flexible, high-pressure water jetting and washdown hose. Premium grade cover provides superior abrasion and ozone resistance. Heavy-duty, high pressure water jetting hose, capable of handling slurry. Premium grade cover is highly resistant to abrasion, gouging, cuts, and ozone. Series 2660 is a heavy-duty, rubber lined, single jacket mill hose. Specially designed for washdown service, plant clean up, and open end discharge service in the construction and industrial marketplace. Not intended for firefighting service. 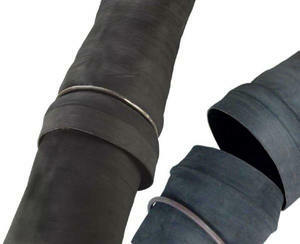 Series 2665 is a heavy duty, rubber lined, contractors washdown hose. The double jacket provides for greater abrasion resistance and higher working pressure. Excellent for washdown and discharge service. Not intended for fire fighting service. This is a heavy duty hose for high pressure water booster service on fire engines. Tube and cover compounds resist abrasion and weathering. Tough yet flexible, for resistance to flexing and surge loads. Meets NFPA 1961 requirements under current RMA specifications. Meets or exceeds UL92 requirements for 800 PSI Booster Hose. The is a heavy duty hose for high pressure water booster service on fire engines. Tube and cover compounds resist abrasion and weathering. Tough yet flexible, for resistance to flexing and surge loads. Meets NFPA 1961 requirements under current RMA specifications. Meets or exceeds UL92 requirements for 800 PSI Booster Hose. Hose is non-conductive.